Steven Spielberg is one of the most prolific directors in motion picture history. Spanning over 40 years, Steven’s career began as a teenager when he made his way onto the Universal backlot and befriended studio executives. His passion and talent quickly developed, allowing him to direct an unprecedented number of blockbuster films. 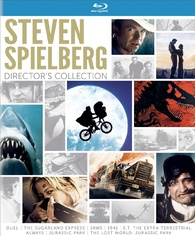 The Steven Spielberg Director’s Collection showcases a selection of the Academy Award winner’s unforgettable movies filmed for Universal, including his very first TV feature, Duel, and his first theatrical release, The Sugarland Express, and blockbusters such as Jaws, E.T. The Extra-Terrestrial and Jurassic Park. Steven’s work has captivated audiences worldwide and continue to set the standard for filmmaking. Steven Spielberg began his career directing episodes for several TV shows, amassing a body of work that impressed Universal Studios enough to sign him for a couple picture deals. 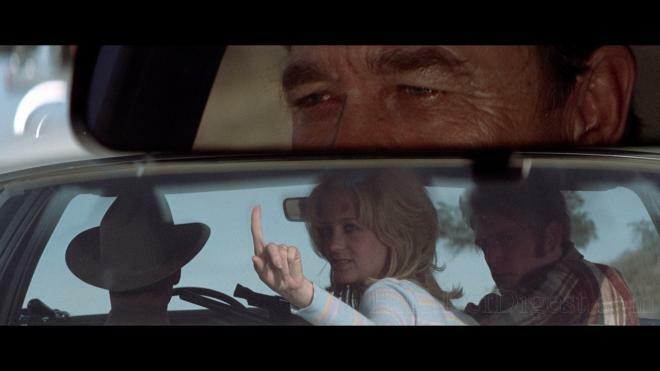 Although initially made and planned as a "movie-of-the-week," 'Duel' is considered by fans and historians as the legendary filmmaker's feature-length debut, in part because it is a shockingly good film but also because it was later released to theaters on a limited run. 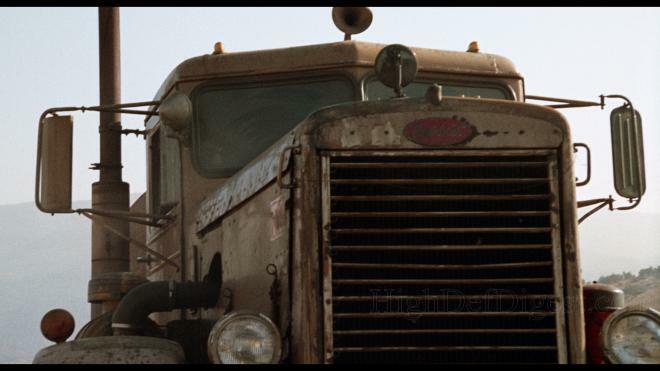 But, such particular details are quickly overlooked when an incredibly simple story about road rage, from a script by Richard Matheson, is turned into a nightmarish scenario of a man feeling defenseless against a 1955 Peterbilt tanker truck. 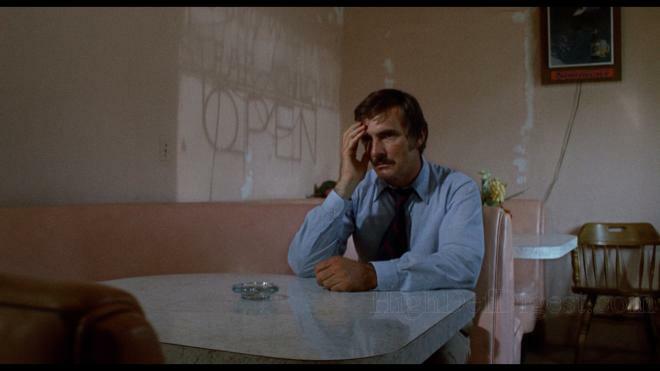 Dennis Weaver plays the terrified family man on a business trip in his Plymouth sedan, a vehicle that could easily be crushed. Making it all the more unnerving is the mystery behind the mostly-unseen driver's bloodthirsty pursuit. 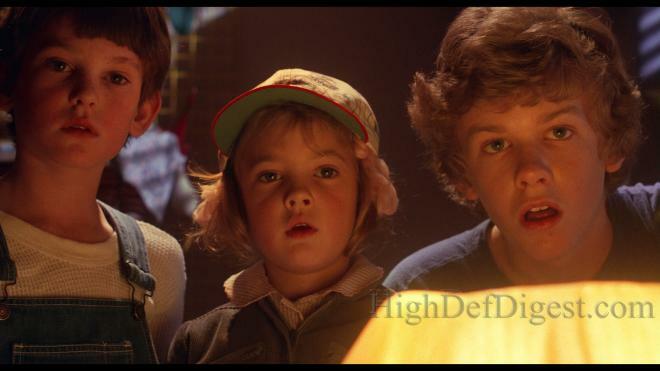 This absolutely fantastic gem is seen as Spielberg's official directorial debut in the more traditional sense because it was made with a theatrical release in mind. An awesome blend of comedy and drama with various neo-noir touches typical of the New Hollywood style emerging at the time, the film doesn't really demonstrate the director's unique voice, but it has an energy and elegance that's evidence of a talented filmmaker. 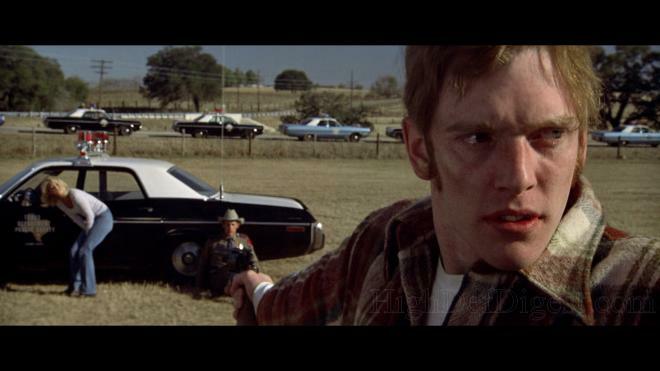 Loosely inspired by the kidnapping of a Texas trooper in 1969, Spielberg wrote the story with Hal Barwood and Matthew Robbins, turning an hours-long event into a touchingly funny melodrama about two convicts running to save their only child from foster care. At the height of her popularity and stardom, Goldie Hawn stars as the naïve mother carried away by her own fantasies while William Atherton plays the husband desperate to please her every whim, and Michael Sacks tries to remain cool and collected as the patrolman. 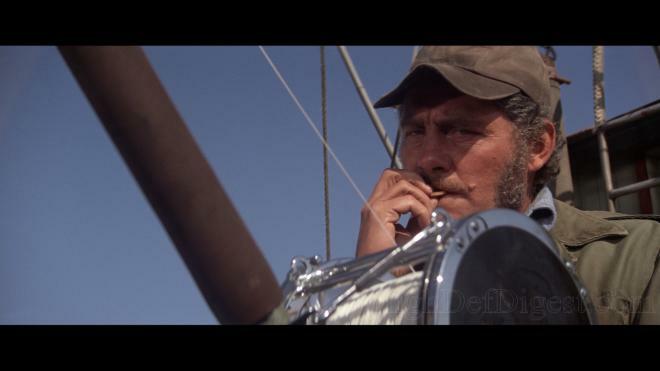 'Jaws' marks a major and significantly momentous point in the history of cinema and filmmaking, whether as a general movie-going experience or as an interest for academic study. Definitely the most obvious aspect of its legacy is that it introduced Spielberg to the world and made him, who at the time was still only 28-years-old, into a household name. The film doesn't exactly illustrate a particular style that's uniquely his — that's to come years later with 'Raiders of the Lost Ark' and 'E.T. the Extra-Terrestrial,' which evolved into a distinctively refined aesthetic in 'Schindler's List' and 'Munich' — but it's one hell of a prelude of things to come from such a young filmmaker. The 1975 horror thriller shows skill, polish, and efficiency, delivering the sort of terrifying, visceral punch we expect from movies but rarely attain. And to this day, just shy of its 40th anniversary, it remains one of the greatest, most effective suspense films ever made. 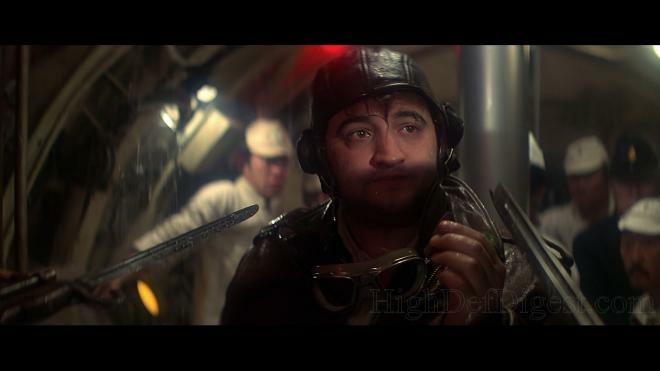 Although a success at the box office during its theatrical run, Spielberg's slapstick ensemble comedy is largely considered one of the director's weaker efforts and a financial disappointment compared to his two previous blockbusters: 'Jaws' and 'Close Encounters.' This, by no means, makes it's a bad film, but in light of his entire body of work — of course, this is at the advantage of being able to now reflect on the whole canon — '1941' is not the laugh-riot it so desperately strives to be. Don't get me wrong, I still find the movie satisfyingly entertains, providing several hearty laughs throughout. 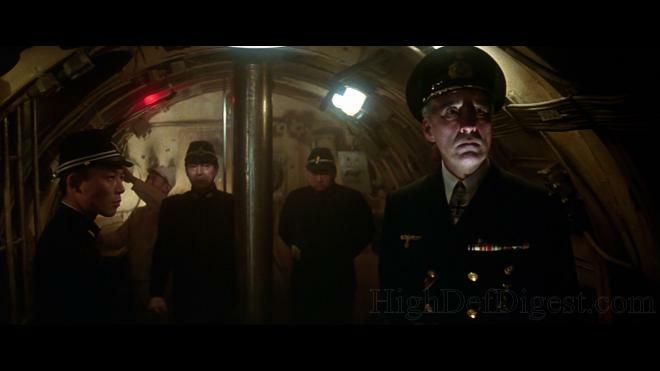 The plot about Los Angeles residents slipping into a panic soon after the attack at Pearl Harbor has a great deal of promise and potential. 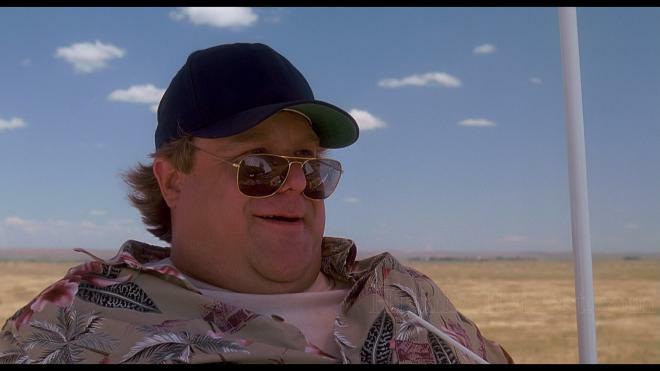 But from a critical standpoint, the story by Robert Zemeckis, Bob Gale and John Milius is unfocused and all over the place, trying to give every character and performance equal screen time. Following one box-office success after another, Spielberg inserted that same level of awe-inspiring excitement and child-like wonder he achieved in 'Raiders of the Lost Ark.' Only, here, he further explored what could be accomplished with the camera and ultimately perfected his unique approach, one which came to define the 80s style of moviemaking. 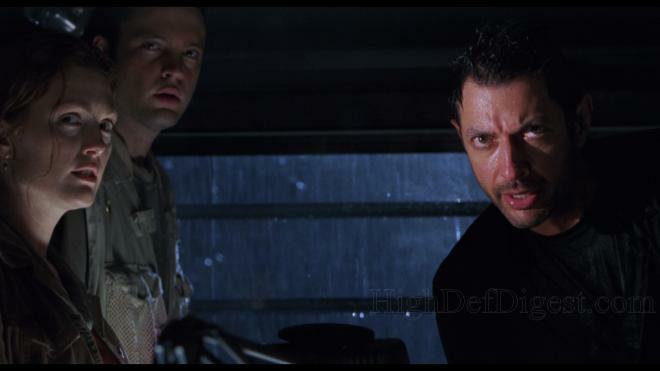 From lens flares and the beautiful, colorful cinematography of Allen Daviau, the film is an endless array of shots which actually facilitate an emotional response from viewers as well as enhance a particular scene. 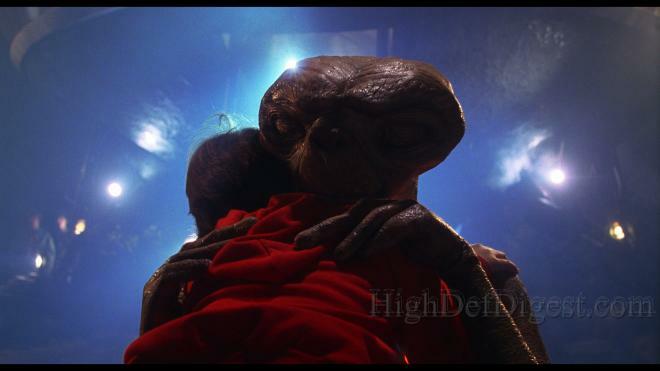 The most memorable is Elliot's first actual meeting of E.T. in the backyard, where Spielberg alternates between a variety of shots, clearly expressing the boy's fear and panic, and we're right there with him, experiencing the moment. And look no further for the most imaginative use of the camera than in his treatment of Peter Coyote's mysterious government agent, known only by the key rings hanging from his belt and the chiming sounds they make. On a more thoughtful and skilled level, that cool camera device and recurring motif is actually part of a grander scheme, an allusion to one of the plot's more insightful themes. 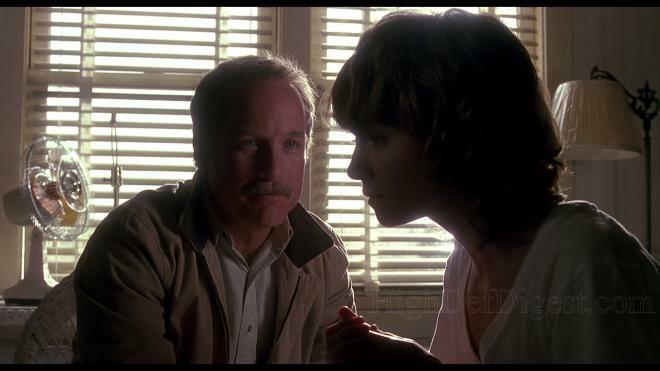 Starring Richard Dreyfuss, Holly Hunter and John Goodman, 'Always' is another feature often considered one of Spielberg's weaker efforts, an obvious departure from his usual fare that curiously lacks his signature style. Still, the romantic drama is a director's film, showing a good deal of creativity and ingenuity for a somewhat clichéd and ultimately mediocre melodrama. The camerawork is impressive and inspiring enough to save it from falling into obscurity and make it a surprisingly wondrous oddity in the filmmaker's repertoire. That may sound like a strange oxymoron, but essentially, and similarly to his work in '1941,' the film strains to fly higher than its generic plot will actually allow. Based on Victor Fleming's 1943 war drama 'A Guy Named Joe,' the story follows daredevil aerial firefighter and recently deceased Pete who is tasked with serving as the voice of inspiration to aspiring pilot Ted (Brad Johnson), but reluctantly guides him to fall in love with the woman he loved when alive. Along with 'Terminator 2: Judgment Day,' Steven Spielberg's 'Jurassic Park' marks the beginning of the groundbreaking years in computer-generated imagery. Not since the stained-glass knight of 'Young Sherlock Holmes,' had audiences seen digital visual effects used so effectively in a live-action film. By today's standards, the visuals of this fantastically entertaining sci-fi adventure do, admittedly, seem a bit quaint, but twenty years later, it's surprising to see they have actually held up rather splendidly, still delivering that same sense of wonder. Spielberg is also at his best in building suspense and anticipation, making audiences wait until just the right moment to reveal the colossal, prehistoric creatures. Unfortunately, the first sequel is proof that lightning rarely strikes twice, even for the likes of someone as highly-regarded as Steven Spielberg. 'The Lost World' (which shares only a title with the novel by the late Michael Crichton) doesn't necessarily try to repeat the success of its predecessor, but it clearly wants to relive the same sense of wonder and exhilaration. It's doesn't quite succeed at capturing our imagination or sparking that same awe-inspiring level as the first movie, but that isn't to say it doesn't come close at times. 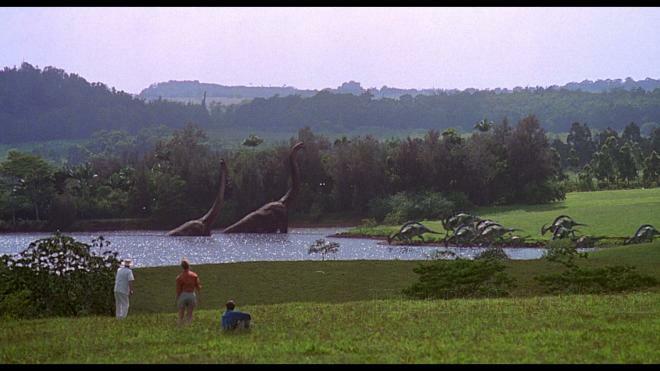 Then again, there's really only one scene which comes to mind, involving a pair of T-Rexes, their newborn dino, a large, extended RV trailer and lots of loud crashing roars amid a rainstorm. Universal Studios Home Entertainment brings 'Steven Spielberg: Director's Collection' to Blu-ray in a handsome and sturdy eight-disc box set. Inside the box in another package that opens like a book with each page showing colors pictures and artwork related to each film. Those same pages also serve as sleeves for each disc which slide out by placing some slight pressure to the top and bottom, widening the mouth only a little. The inside is smooth and glossy to prevent the discs from scratching. All eight films are contained on separate Region Free, BD50 discs and found inside one of the pages, respective of their order of theatrical release. The '1941' disc comes with both the 118-min theatrical version and the 146-min director's cut, a nearly half hour difference showing a few bits of dialogue and minor action sequences. The package also includes a 58-page book with color pictures, an in-depth history on Steven Spielberg and notes and trivia on each film. At startup, each disc goes straight to either a static picture or a screen with full-motion clips while music plays in the background and offering the usual menu options. A Conversation with Steven Spielberg (SD, 36 min) — The legendary filmmaker sits down to share his memories about the production, the story, the cast & performance, and his filming process. Steven Spielberg and the Small Screen (SD, 9 min) — The director returns to discuss the meager beginnings of his career. Richard Matheson: The Writing of Duel (SD, 9 min) — The celebrated author talks about the genesis of the story, themes, adapting & developing the screenplay, and the changes made. The Making of Jaws (SD, 123 min) — The original documentary about the history of the production which was originally made for the Signature Collection laserdisc. Mostly a collection of interviews with the cast & crew and author Peter Benchley sharing experiences and anecdotes, the piece is rather exhaustive and amusingly informative. There is a great deal to learn from the doc about the pre, during and post-production challenges while enjoying never-before-seen videos of real-life sharks, hearing stories about working on the set and tons of BTS footage throughout. From the Set (SD, 9 min) — Originally produced and aired in 1974, this is a British news featurette hosted by Iain Johnstone that functions pretty much like a promotional piece with an interview of Spielberg and BTS footage. Jaws Archives (HD) — An amusing collection of storyboards, production photos and promotional art showing the lighthearted humor shared by all involved. 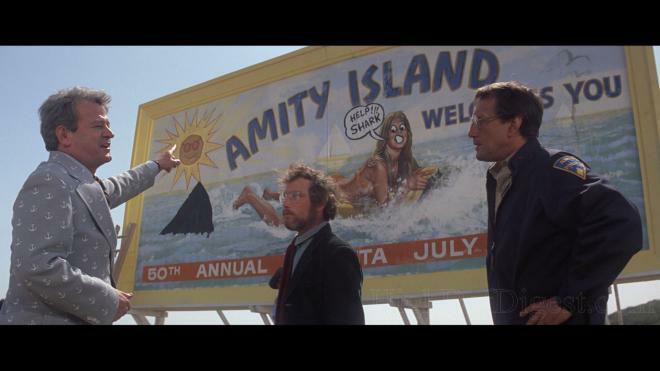 Probably most interesting is the "Jaws Phenomenon," which is an assortment of photos and posters meant for marketing the film internationally. Deleted Scenes and Outtakes (SD, 14 min) — Exactly as it sounds, a good collection of excised sequences worth checking for fans of the film. The Making of 1941 (SD, 101 min) — Broken into 19 shorter segments, this exhaustive retrospective covers a variety of topics, from story origins and inspirations to post-production and public reactions. Each piece comes with cast & crew interviews that share memories and impressions of their experience, along with a host of BTS footage and photos. Return to Jurassic Park: Dawn of a New Era (HD, 25 min) — The first in a six-part documentary series discusses not only the making of the movie but also gives viewers an inside look at the original direction filmmakers were going to take before realizing CGI was the way to go. Cast & crew interviews are mostly recollections on working with Stan Winston's special effects, surviving a real-life hurricane and working with Spielberg. Return to Jurassic Park: Making Prehistory (HD, 20 min) — The second part takes a much closer at the filming itself, particularly the special effects and acting with the animatronics. Viewers gain a better knowledge of the extensive work that went into creating the scenes which feature the movie's villains: the T-Rex and the Velociraptors. Of great interest is learning where the sounds of the dinosaurs originate, seeing some of the animatics, and how Winston's team made the dinosaurs come alive. Return to Jurassic Park: The Next Step in Evolution (HD, 15 min) — As one would suspect by the title, the third segment of the exhaustive documentary gives fans a great discussion on the computer-generated images and the digital composites created by Industrial Light & Magic. Very interesting is listening to Spielberg share his thoughts on giving creators his input while in the middle of filming 'Schindler's List.' There are also some talks on the awesome sound effects and the soundtrack. It's a great watch for fans. Archival Featurettes (SD, 66 min) — A few of the supplements from other releases are collected here, which starts with an aged EPK piece on the making of the film and filled with many of the same snippets found on the above segments. This is followed by another very brief promo segment and on-set footage from a handheld camera of Spielberg directing the movie. The last is probably the most interesting as it talks about the hurricane that delayed production for a few days. Behind the Scene (SD, 27 min) — The rest of the bonuses are stored here, like storyboards and a gallery of stills & art concepts from ILM. Aside from seeing filmmakers scout locations, sit in pre-production meetings and see foley artists do their magic, the best segments are those showing the very early visual effects work and the comparisons. Jurassic Park: Making the Game (1080i/60, 5 min) — A quick glance at the video game with interviews of the creators. Trailer (SD) — The original preview brings the first disc to a close. Return to Jurassic Park: Finding The Lost World (HD, 28 min) — In the fourth entry to the documentary series, the discussion obviously turns towards filmmakers returning for a sequel, which Spielberg explains was always the plan in the back of his mind. At first, the thought was something different than what was made, but with Crichton already releasing a follow-up book, filmmakers decided to go in that much darker direction. The piece pretty much goes through the usual motion of showing the filmmaking process, being on location and the special effects with lots of BTS and interviews. Return to Jurassic Park: Something Survived (HD, 17 min) — The fifth segment focuses on the more technical aspects of the production, particularly the film's conclusion and how it was essentially written into the story on a whim. The digital and practical effects are also talked about extensively, often closely looking at specific action sequences, while several interviews mention the great deal of fun everyone had. Like the previous pieces, viewers also learn quite a bit about the sound and foley effects, which is amusing. Archival Featurettes (SD, 84 min) — As in the first disc, this section gathers together the bonus material from past DVD releases of the sequel. The making-of piece is the standard fare exploring every aspect of the production and followed by basically a shorter version of the same featurette. Then there's an amusing animated short from ILM as a thank you to Spielberg and an interesting conversation with author Michael Crichton on the Jurassic Park novels. Behind the Scenes (SD, 21 min) — As before, the remaining bonus features are stored here, which mostly sees a large collection of storyboards and a few still galleries. Of most interest is, again, the comparison footage of before and after ILM worked their magic into those scenes. Deleted Scenes (SD) — A couple dialogue sequences which didn't make it to the final cut, and they're not terribly interesting. Universal Studios Home Entertainment brings together eight films from legendary filmmaker Steven Spielberg, dubbed "The Director's Collection." 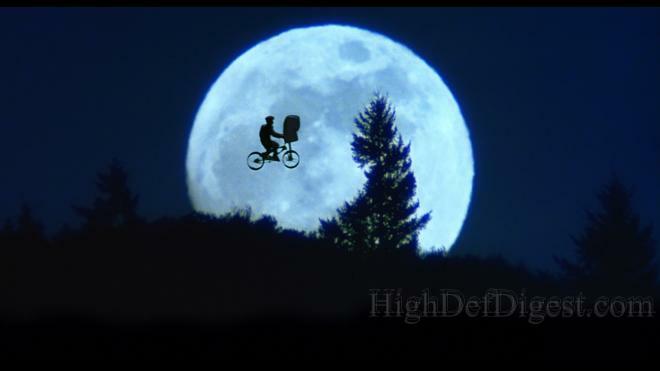 True to its moniker, each feature is a perfect demonstration of Spielberg's unique style and voice as a visual storyteller. 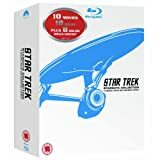 Contained on separate discs, the films arrive with excellent picture quality and terrific audio presentations, along with a host of special features that will give fans hours of enjoyment, making the overall package highly recommended.